Remind yourself of how wonderful life can be with our newest designs. Made of MDF (recycled wood) material. To have us include your photo on our template designs, there is a P200 service charge. 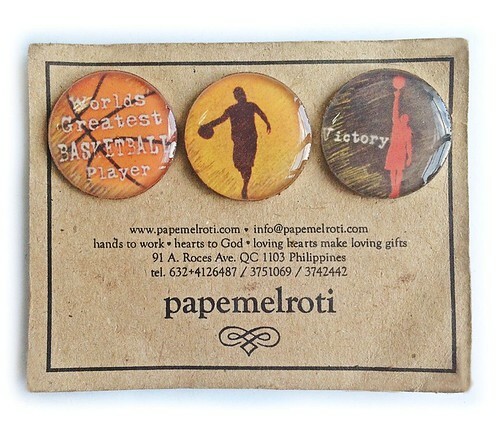 A keepsake magnet big on vintage appeal. Made of felt. Lightweight. Pick from 2 color combinations - Blue Owl with Orange Wings and Orange Owl with Apple Green Wings. Each is individually handmade with care. 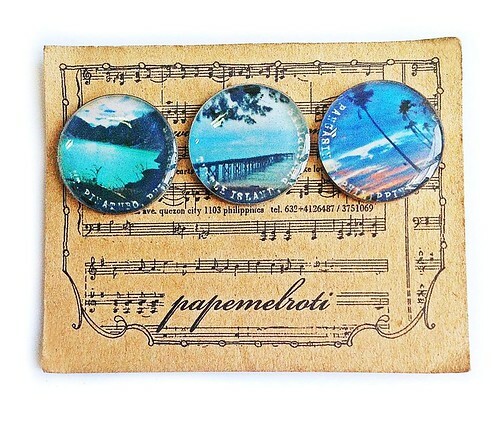 A keepsake magnet big on vintage appeal. Individually hand-sewn and hand-embroidered. Set of 2. Irresistible charm in a magnet! Collectible designs. Each is individually handmade with care. Size of magnet is 1.125 inches diameter, 30g. Collectible sets are practical ways to keep your notes in full view and in an orderly fashion. With 3 matching designs per set. Shown are (clockwise): Animal, Gadgets, To Do Play Buy, Icons and Live Laugh Love. So fun to decorate your home magnet board and kitchen refrigerator with. Available in assorted designs made of a mix of different color combinations and materials. 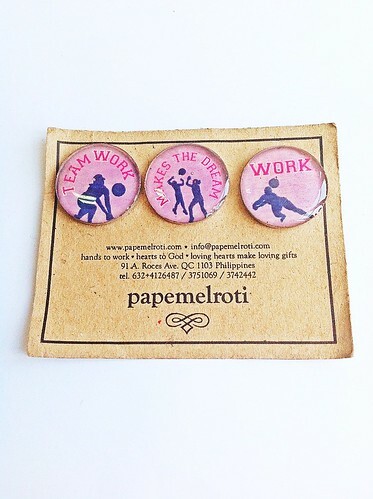 With Sunday to Monday button magnets for every day of the week! Remind yourself of deadlines, events or birthdays by jotting down notes for each day! Convenient and practical! A fitting memento to one of the oldest churches in the country. This was the only building left standing in during the 1945 Battle of Manila. Made of durable resin. Ask us about making a magnet of your church. You may want to add a Window Box to hold this product. One side has clear acetate so you can see the magnet inside! 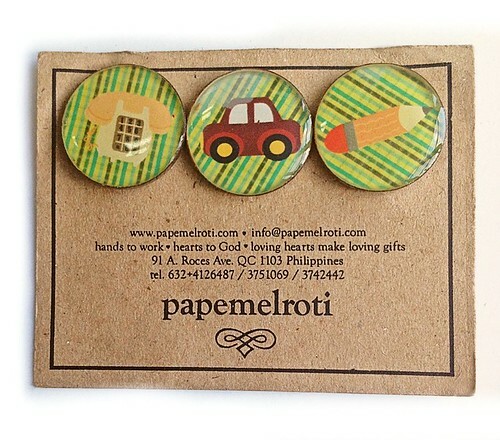 For an order of 50 pcs or more, price: ₱16 each. Click here to view the window box with ribbon. Click here to choose a box cover. You may want to add a Dainty Pouch to hold this product. Click here to see pouch. For personalization: You may give us your own design or photo (church, couple etc.) for an additional charge of P200 to the total cost. *Price is ₱34 each for an order of 50 pcs or more of the same design. Size 2.5 x 2.5 inches, 1/8 thickness, 15g. All occasion magnets! Made of recycled wood. You may click here to choose from several oval border designs and messages. 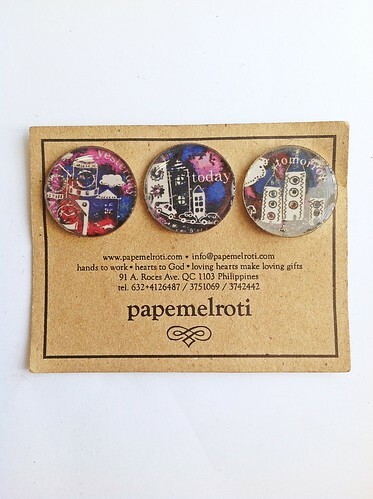 *There is a 20% discount for an order of 50 pcs or more of the same design. *Please take note that we can only start on the design for approval upon payment. Size 2.5 inches x 2 inches, 1/8 inches thickness, 20g. Choose the color of the background border here. We can make your own personalized design. Upon request we can let you approve the design before production. *For personalized designs, add ₱200 to total cost of orders. Add a Dainty Pouch to hold this product. Click here to see pouch. 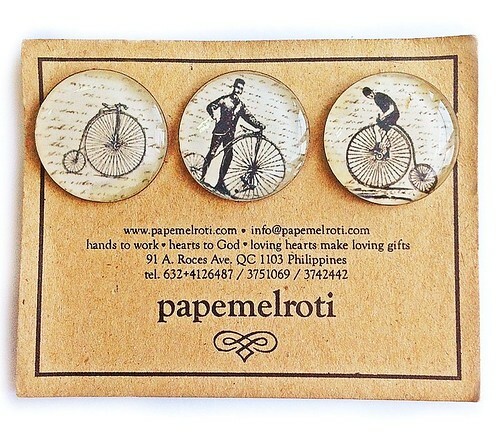 To add a box: ₱12.80 each for an order of 50 pcs or more. Please choose a box cover design here. 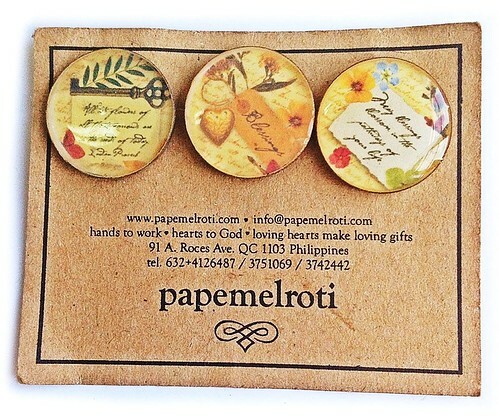 If you wish to add a regular non-metallic ribbon to the box, bulk price is: ₱14.40 each. Please choose a ribbon color here. Just add instructions in the checkout form.